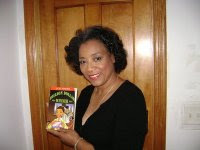 Arlene Jones - Featured Columnist Austin Weekly News: School Bus Driver Beaten By "student"
I know there is a reason why I could never do this job. And then again, this young man would have probably met his maker if he ran into me. I had previously seen this woman and then today when I saw her, her face looked like she was Rihanna running into Chris Brown. If the boy in the video was my son, he would have every bone in his hands broke.